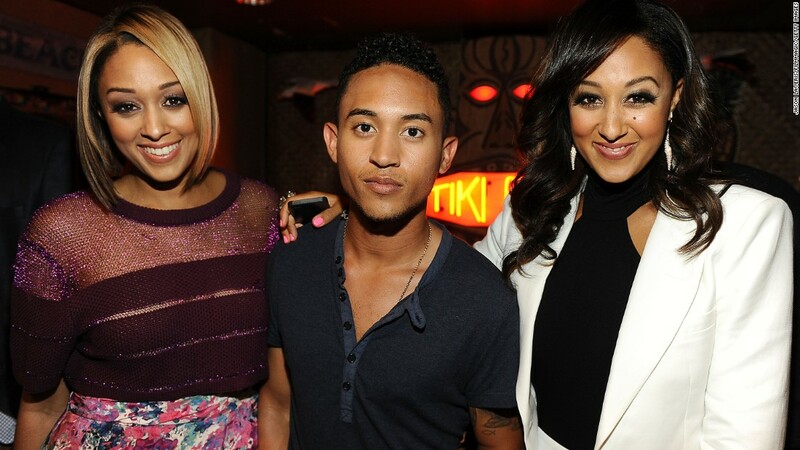 Tavior Mowry had a great hope of becoming like his celebrity siblings, till his journey into stardom was punctured and his quest sadly aborted. He was born into a celebrity family, but he tried to carve a niche for himself as a young athlete – a running back for the Golden Bears of the University of California, reigning supreme in the team as their star player before sadly, that glory and promising career was shattered by an injury he could not recover from. Tavior Mowry was born on 5th July 1993 in California, United States. He is believed to have been born in a military base. He has a mixed ethnicity – English, Irish and Afro-Bahama. He attended Westlake High School, where he participated actively in the school football team and excelled very well in his academics. The superlative performance in the game of sports at his school paved a way for the glories that he later enjoyed in the University of California. Tavior started his football career right from the high school at Westlake High, recording an impressive statistics of 3,278 yards and 43 touchdowns. The record above earned him the recognition as the best player of the time. These statistics were record-breaking. In 2011, when he got enrolled in the University of California on a full scholarship, he joined the University team, though he played just four games in 2012, as he was impaired by an injury he sustained while playing which was a very big setback for him as he only recorded 15 rushing yards, 17 carries, and 87 all-purpose yards. Later in 2013 season, Tavior Mowry’s record improved very significantly, and he ended the season with 53 carries, 184 yards, and 37 rushing yards in just 9 games. but unfortunately for Tavior and the fans that loved to see him on the field, a career-threatening injury forced Tavior out of football permanently. As an ambitious young chap that wanted success, he directed his rapt attention to his academics and completed his degree in Sociology. Tavior would later enroll for another course in Audio Engineering in a recording connection institute. He was under the tutelage of Zach Philips where he garnered more experience as an apprentice. An experience he transcribed and utilized in his time as a music producer; he has worked with the likes of Talib Kweli, Jessie Ware, and The Kooks. It is also worthy of note that Tavior plays the piano, bass guitar perfectly and it is on record that Tavior was self-taught. Before enrolling for course in Audio Engineering, Tavior worked as a wine salesman in California. Tavior’s net worth is not known. His football career did not blossom long enough to yield financial returns for the talented kid. Although he has also worked as a salesman and he has produced several kinds of music, it is, however, speculated that Tavior is worth is in hundred thousand dollars at the moment. We will continue to update this space as his entertainment gig begins to grow his net worth. His father is Timothy Mowry, who was an Army officer at Fort Irwin before working as a jailer for the Police Department of City of Glendale, California and his mother, Darlene Mowry was also an army officer who attained the rank of sergeant alongside her husband, though she also went on to work as a security guard, as well as, managed the careers of her children. It is believed that the parents met at high school and developed a magnificent chemistry that led them to a union that later produced four amazing children. The former American football star is the last of the 4 children. He has another brother, Tahj Mowry who is known for his character in Smart Guy a sitcom and two elder twin sisters, Tia and Tamera Mowry, who are known for their teenage appearances in a television series Sister, Sister. They were part of a singing group in the 1990s called Voices. Tia and Tamera are currently happily married to Cory Hardrict, an actor, film producer, Basketball player, and Adam Housley, is a Fox News award-winning reporter respectively. Tavior is quite a good looking young man that has earned him many admirers; he stands at a height of 5 feet 7 inches while he weighs 86.2 kg. The young man, Tavior Mowry, he is still unmarried at this moment; he keeps his heart affair as private, though there are rumors that he may have a special someone in his life, it is yet to be authenticated.